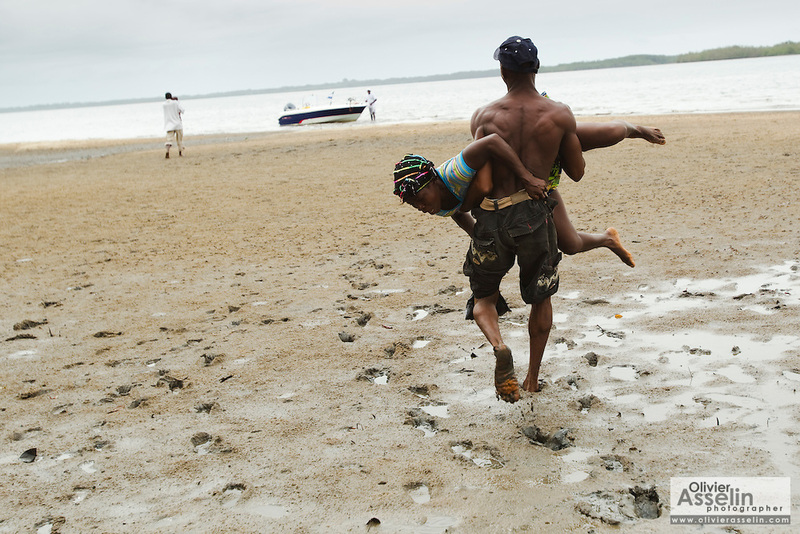 A man tries to force Marie Tabeh, the mother of two-year-old Blackie, to get aboard the emergency speedboat that will carry her child to the district hospital from the village of Yoni, on Sherbro Island, Sierra Leone on Thursday April 22, 2010. Suffering from severe dehydration, the boy needed to be referred to the district hospital. Marie refused to follow her child without the approval of her husband; medical staff had to leave the mother behind to save the child's life.